What is the real year of the death of Prophet Muhammad? It is stated in one hadith that calamities, illnesses, troubles, the evil-eye, jealousy, sorcery, fire and the collapse of residence will befall those who write, read or display on their walls the names and attributes of Prophet Muhammad. How true is this? In history Abu Hurairah is known by his sobriquets. He is one of those people whose nicknames come to mind before their real names. He had two given names, used at different times: “Servant of the Sun” and “Servant of Allah”. All branches of knowledge related to religion have defined religion their own perspective. While describing religion, Islamic scholars have taken into consideration the way the concept of religion was taken up in the Quran and Islamic beliefs. 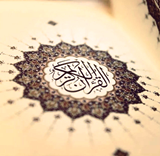 The dictionary meaning of Islam is peace and being in peace; surrender, submission and sincerity; and giving salaam. In every case Islam comes the root salaam and salaamed.